The owl love continues. But this time the pattern is for all of my crochet friends! Yep, I’m ridiculously excited about releasing this new pattern. Ever since I released my knit owl hat pattern many lovely crocheters have been asking for a crochet version of that pattern. It’s taken a lot of love, but I have finally finished the Owl Hat Crochet Pattern. This crochet version is as true to the knit version as I could make it. The top portion of the hat is a tighter stitch pattern than where the owls are. The Owls stick out like a relief against the stitches in between each owl. I even kept the stitch count similar so that the spacing is similar. And it’s got a ribbed brim! The crochet cables are a bit tricky, specifically the right twisting side of the cable. These require a bit of patience! Check out the pattern notes about the cables for some tips. And watch the YouTube video here. Grab your crochet hook (size F/3.75mm to be exact), some medium weight yarn, get the pattern, and start stitching! I am using a smaller hook than what is listed on the yarn. My yarn has a suggested hook of J-10/6mm. Using the 3.75mm hook a 4″x4″ swatch is 18 stitches and 21 rows. You will need about 120 yard of yarn. 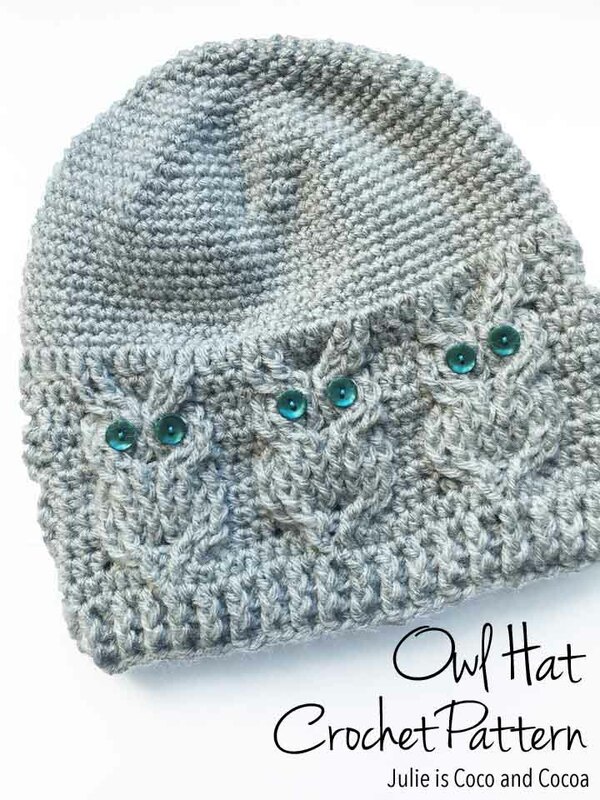 Hi Julie, Is it possible to purchase the Owl Hat Crochet Pattern as a download as I live in Australia. Hi Sue! All of my patterns are downloads. Thanks! Sooo cute. I love the knitted owl set. Have made the mitts, hat and scarf. So cute. I purchased this pattern and used vannas choice #4 yarn, it was way to small with 3.75 hook, now trying with 5 hook! I can’t seem to locate the pattern for the crochet owl hat. What am I doing wrong? What sizes are available in this pattern? This pattern is for an adult woman. It would also fit an older child. You should receive a receipt email as soon as the payment goes through. That email will contain a link to download your pattern. The link will be underneath the name of the pattern you ordered. Each link can be used once so please be ready to download your pattern when you click on it. Let me know if you don’t receive your email receipt or have problems accessing your pattern. How can I get crochet pattern for owl hat? 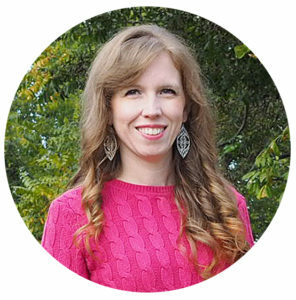 I purchased the pattern – do you email the download ?? If I am a beginner, do you think I could figure this out? I’ve only ever made simple blankets and wash cloths. wondering what size buttons are best for the eyes? Hi Pam! I like 3/8″ or 9mm buttons for the eyes. Hi Julie, how much are your crochet owl hats? I see the knit one on etsy but I don’t see a finished crochet one. I have a question about the number of total stitches in ties 23 and 24. In row 23 the number of stitches seems to be 11 but to repeat 6 times only gives 66 stitches, not 77. Hi Emily! Sorry, that means to repeat 6 more times after the first set of 11. So 7 total for the 77 stitches. The pdf’s I received does not have a gauge. Julie, do you have this info? I hate to start this project to find it is to small or too big. Thanks. My 4″x4″ swatch is 18 stitches and 21 rows. Hey! could you please tell me what brand and colour you used for this hat. Its beautiful! I’m sorry, they were vintage from my grandmother. I don’t know how long she had them or where they came from! If you’re looking to purchase I recommend about a 9mm size button. How much yarn for this pattern? Hi Annette! This pattern uses about 120 yards of yarn. where can i print or buy the pattern? Hi. I am searching for an owl crochet poncho pattern for a 5 year old girl. I’d appreciate help. Thank you. Hi Barbara! I don’t have a poncho pattern right now, I’m sorry. Do you do continuous rounds or do you join at the end of every round? I just completed my owl hat. After I completed it I asked several family members what did it look like and immediately they all said an owl hat how cool. Turned out great sending a picture to my sister who also crochet and is considering making it. Thanks so much and especially for your patience and quick response to my many questions. Thanks hope to see you again soon for the next project. Thank you so much for the patterns of the owl hat and the other I purchased. I was able to download the pattern this time 🙂 . Making the hat now thank you for answering my email and making it right love this .